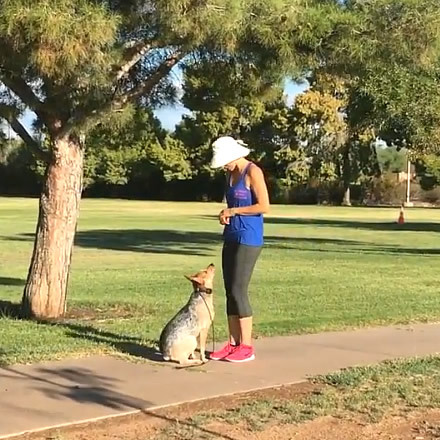 The Zenergy Way is unique because we train in real world situations so that your dog will learn how to remain calm and focused on you no matter the distraction. Imagine having a dog that will demonstrate control of mind and body in all situations! All of our training services emphasize relationship building, state of mind, dog psychology, and nature based canine communication. To ensure the most effective and mutually satisfying experience, watch our website videos, read all the frequently asked questions, and get familiar with our services & rates. When you see that we’re a good fit for you please fill out a contact form so we can assess you and your dog’s unique circumstances. From there we will reach out to recommend the training approach we think will be most beneficial and answer any questions you might have. Would you like a fully off-leash trained dog who can be calm on command and focused on you in any situation? 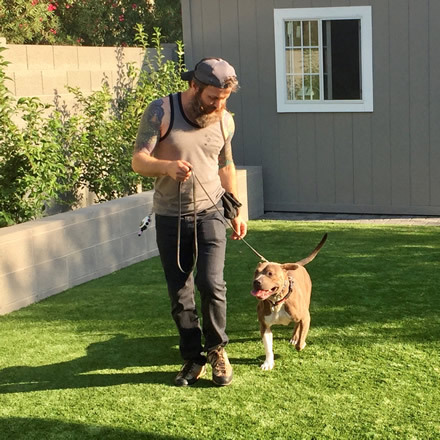 Our bootcamp programs are the most popular solution to getting you back on track and loving life with your dog. It is the most efficient and effective way to quickly achieve dramatic changes and lasting results. Whether you have a dog with severe issues, a stubborn senior with deeply ingrained behavior patterns, or a young knucklehead without any manners; entering our bootcamp becomes a fresh start and a state of mind reset. 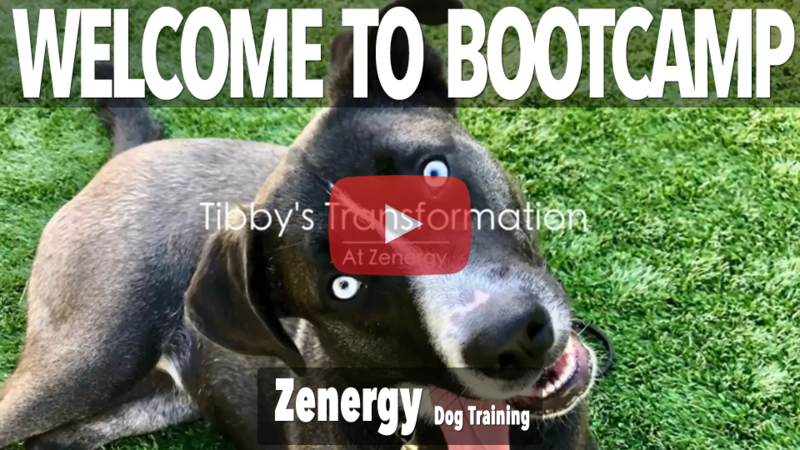 Your dog leaves the setting of it’s past behavior and becomes integrated into our balanced pack to begin learning a new way of being from dogs that have mastered the ZENERGY state of mind. In addition, our revolutionary training method establishes clear communication that teaches mindfulness, impulse control, and how to have a new kind of relationship with their human. This is an intensive lifestyle-training program, twenty-four hours a day, seven days a week. It includes a daily routine of relationship building games, extensive training, structure, rules, socialization, supervised play, treadmill training, pack walking, calming exercises, and real world outings; such as parks, farmers markets, grocery stores, hardware stores, restaurants, coffee shops, and more. We pride ourselves on conditioning your dog to be confidently calm, focused, and obedient anywhere and everywhere under any kind of distraction. True real world training and rehabilitation. By simulating a job through obedience your dog will develop a sense of purpose and confidence that makes it easy for you to maintain the training when you’re reunited with your dog. In addition, by addressing the overall state of mind, your dog transforms beyond simply knowing a few obedience commands. Finally, by empowering you with the right communication tools and your dog with an understanding of expectations, you will experience peace of mind and a level of freedom that is truly life changing. The ultimate human-canine relationship. Our 4 week bootcamp is intended for any dog with spastic goofball behaviors and for unruly puppies who need to learn manners as well as a solid on and off leash obedience foundation. It is not for dogs with serious behavioral issues such as high anxiety, fear, or aggression. The 5 week is our most popular bootcamp program. The extra week gives us the time to guide dogs through behavioral problems without pushing them too soon. Each dog is unique. If we expect too much before our dog is ready for the challenge it puts extra stress on the dog that can hinder our relationship and set the dog back. We want to make sure our dog has a solid foundation of trust and clear communication so they are receptive to our guidance when we put them into situations they have struggled with in the past. The 5 week bootcamp allows us to rehabilitate anxiety, fear aggression, dog or human aggression, resource guarding, and leash reactivity. In a perfect world we would suggest the 6 week bootcamp for everyone. The more time we have to fine-tune our dog’s training, the better habits they will form. 6 weeks is for all dogs from puppies to older dogs with any and all behavioral issues. This program is also mandatory for dogs with extreme behavior problems such as red zone aggression, severe separation anxiety, or any dog with a bite history. Extra weeks may be recommended depending on the severity of the unwanted behavior and the dog’s overall state of mind. A 3 hour go-home lesson at the end of the program where we will transfer all of the information, techniques, and strategies to you, a one 1-hour follow up lesson, unlimited text, and phone support during and after the program is completed. We specialize in gentle canine communication through low-level E-Collar training. Our E-Collar program is like nothing you’ve seen before. 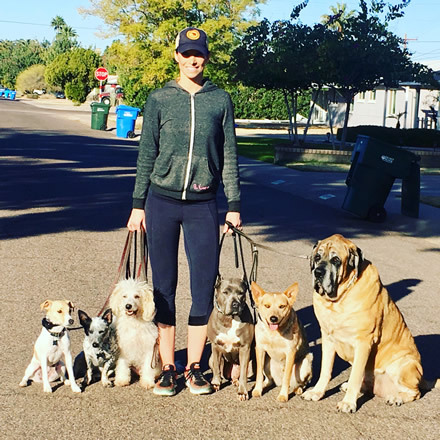 Our revolutionary training method utilizes the softest, most gentle remote communication, and is one of the most humane and effective approaches to dog training available. We typically book one to two months in advance so reservations are required. Make sure to fill out the contact form to get your dog’s training started! We’re not accepting new Private Lesson clients at this time, due to being booked out for several months. Private lessons are great for enthusiastic dog owners with the time and dedication to implement the techniques and principles we’ll be teaching you. We will show you our relationship building training system from the ground up. How to get your dog working for meals, the basic fundamentals of engagement, and canine communication (body language, verbal markers, the language of the leash, and the language of low level e-collar communication). We will also give you our home management protocol for establishing a structured home routine that all dogs thrive on. Our method shows dogs how their choices matter, how to walk properly on leash, how to be polite around people, how to focus on you around other dogs, off leash reliability, impulse control, and so much more. To get lasting results with private lessons you will need to practice with your dog every day for several weeks or even months until habits and behaviors are so ingrained that your dog does them without any prompting. You will see dramatic changes in your dog’s behavior within the very first lesson, but it will be up to you to diligently practice and reinforce the training if you want lasting results. Dog training is a lifestyle and a team sport, so all the members of your household will have to be on a the same page if you want to set your dog up for success. There is so much information out there about raw diets. As such, it can be confusing and overwhelming at times. Let us hold your hand through the process of transitioning to a biologically species appropriate raw meat diet. We’ll cover the whys and hows, amounts, sourcing, supplements and much much more! Make sure to fill out the contact form to set up your one-on-one phone consultation. We also offer one-on-one phone consultations in which we provide coaching for your specific issues. Whether it’s training for your dog, business strategies, or personal development; we will assess your situation and determine strategies that address your unique circumstances. This is a great option for out-of-state clients.